As inventors, when we have great ideas, we like to find the perfect manufacturer to license our product and sit back and make tons of money. 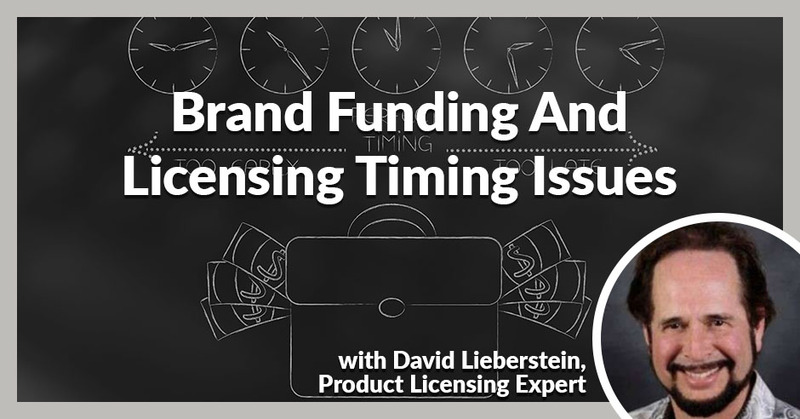 Dream product guru David Lieberstein is an expert in brand licensing and got to experience the pros, the cons, and the pitfalls of all that’s entailed in doing so. David had his own companies for a number of years in the houseware and gift industry. The last company he had for 25 years was called Wine Things Unlimited where he worked with the artists for designs but also did a lot of licensing for the designs to put on their three-dimensional sculptures. Five years ago, he became a consultant to work with inventors to help them launch their own companies and take the next steps to find the right manufacturer to license their products. David talks about what to focus in on and what needs to be done next for product design, sourcing, working with the factory, and getting all the details and stuff for business and marketing. 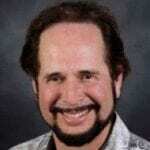 I’m David Lieberstein, your dream product guru and I’m here to talk to you about licensing. A lot of inventors have great ideas and would like to find the perfect manufacturer to license their product and sit back and make tons of money. I’m going to talk about the pros and cons of that. Let me first tell you a little bit about my background. I’ve had my own companies for a number of years in the housewares and gift industry. My first company was back in the early 1970s when I was seventeen. I had a greeting card company for ten years. I was involved in quite a bit of licensing both for photographers and artists to use in our greeting cards. We also ended up becoming the licensing agent for our artists and did tens of millions of dollars in licensed goods in the States and over in Japan with little cute animals and children. The last company I had for 25 years was called Wine Things Unlimited. It’s wine accessories, bottle stoppers, glassware and ceramics. I worked with the artists for designs but I also did a lot of licensing for the designs to put on our three-dimensional sculptures and of stoppers and glassware with collegiate. I had all the major colleges and we did Betty Boop, Star Trek, Cirque du Soleil and Looney Tunes. We did a lot of licensing so I have a lot of experience on both sides of the fence. About five years ago, I became a consultant to work with inventors to help them launch their own companies, to move into the whole pre-production phase, find sourcing and go through the whole steps of starting a business. I also worked with inventors to help consult them to take those next steps to find the right manufacturer to license their products. As a matter of fact, I helped a couple of clients in the last couple of years license their inventions to various companies. I got to experience the pros and the cons and the pitfalls of all that’s entailed in doing so. The first thing I want to talk about is you having a great invention and you wanting to license it rather than spending the time and money to do it yourself. First of all, you need to have a great idea that has a unique niche and is different from everything else out there in your product category. It’s important you do some research on your marketplace. Look at what else is out there that does what your product does or what your invention does and determine how unique it is. Often inventors will take that next step and see if they can patent their idea and their inventions. There are lots of good attorneys out there and you can also file for a provisional patent which gives you a year to figure out how viable it is. You can do that yourself for $160 and go online and find some places to do that or you can hire an attorney for $2,000 to $5,000 to do it for you. You don’t want to waste your time and money on a patent if there are a lot of things out there similar, so do the research online. Secondly, you need to determine who the appropriate company is that you will sell your invention with and their product line with. You do research in your field to find out who the largest companies and the smallest companies are that have products in which your invention will compliment. 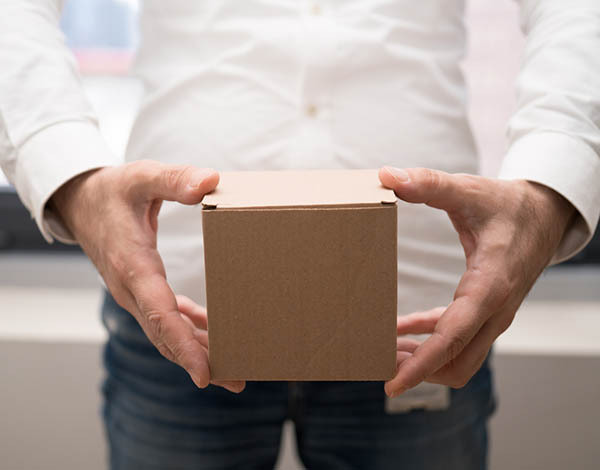 Nobody’s going to pick up your product and put it in their product line if it doesn’t compliment with what they’re already doing in offering their customers something unique that they don’t currently have. It’s going to add value to their company and to their product line. Brand Licensing: Nobody’s going to pick up your product and put it in their product line if it doesn’t compliment what they’re already doing. Let’s say you find half a dozen companies that you feel that your invention, your product would be a great fit for them. You need to then do some research probably by calling the company or emailing them to see if they do have a licensing program in place. If so, what is the procedure for you to propose your invention to them? The worst thing that could happen is that you send off a picture of your invention and the idea to a company that does not do any licensing and you’ve just given away your idea. Whether you have a provisional patent or not, companies that are unscrupulous and there are plenty of them, unfortunately, that are out there, will take your idea. They will work around the patent if they need to and get it out there way before you’ll ever have a chance to license it or produce it yourself. It’s important to keep your ideas close to the chest, as they say, and just be smart about it. 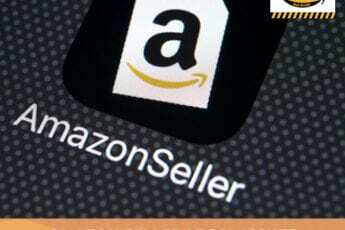 Some companies will be willing to sign a nondisclosure agreement, an NDA, that says that if they don’t have anything similar in the works, they’re not going to knock you off. That gives you a little bit of additional protection, but some unscrupulous company will do whatever they want to take the idea. I don’t want you to be fearful of your idea being stolen but I want you to be smart about it. That means do your homework to make sure the company has a licensing program in place to work with inventors. Find out who you submit that idea to and what the procedure is. Do not send your idea or talk about your idea to anybody in any company where they don’t have a proper program in place. Those are the two main portions. You have determined the proper company that is complementary to your product or your product invention and will add value to their company. You’ve determined if they have a licensing program and how to submit your idea and then you submit it. I’ve talked with clients where they say, “I submitted it to them but they never got back to me or I called and they don’t return my calls. What do I do?” You have to be patient. You have to realize that the new product development vice president or the person who’s in charge of looking for new products and reviewing potential inventions to license, they have a lot on their plate. That’s not all they do. They have new products that they’re developing that are all across the board. They’re usually working twelve to eighteen months ahead of time. They’re very busy people and as important as your products and inventions are to you, it may be to them as well. They don’t always get back to us quickly. Be patient and don’t bug them too often but it’s also appropriate to send an email or a voicemail every week or two. If you don’t hear back from them in a month or six weeks and you’ve done three or four follow up calls or emails to say, “Did you get my idea? What do you think?” They don’t get back to you. They’re not interested. You have to let it go and move on. The next thing to know is what is your invention worth to a company? What will they pay? The standard royalty rate these days for inventions, particularly for a product that does not have a proven track record, that you’ve had it out there and you can show them sales and it’s already been in the stores. Assuming that you’re an inventor, you’ve got a great idea. You may have a provisional patent on it. The companies don’t know if it’s going to sell or not. They’re going to have to put a lot of time and money to develop, produce and market it. Most companies these days are only willing to pay a 3% royalty on total revenue or total sales that they make, whether it’s retail or wholesale. That means that your idea needs to be a big hit like it’s the 80/20. Very few ideas or products are a big enough hit where you’re going to make a lot of money. For example, if the product does well the first year and they do $1 million in sales, the 3% royalty is worth $30,000 to you which is nice money. You can’t live on that for most folks. A lot of very creative inventors will have a number of ideas which are developing all year long. They may have half a dozen or a dozen licenses going with different inventions with different companies. Some don’t do well, some do well and make a living that way. Just know, going into it, that as much as you’d like to get an advanced royalty of $10,000 or $25,000 and hope that you’re going to make $50,000 to $100,000 a year, that product has to do really well. There are some inventors who have done great and their products do $5 million or $10 million a year and the company takes it and does the TV commercials and online and gets into the retail stores. The ones that do great, those guys make a ton of money. Just have appropriate realistic expectations. You’re not going to know until it gets out there. The next step is that let’s say the company is interested in your idea and they want to discuss a licensing deal. If you don’t have any experience in negotiating a licensing deal, do research online. I’m going to post something online after our talk here. They’ll give you some overviews as what I’m talking about is just a recap of what some other ideas about licensing. 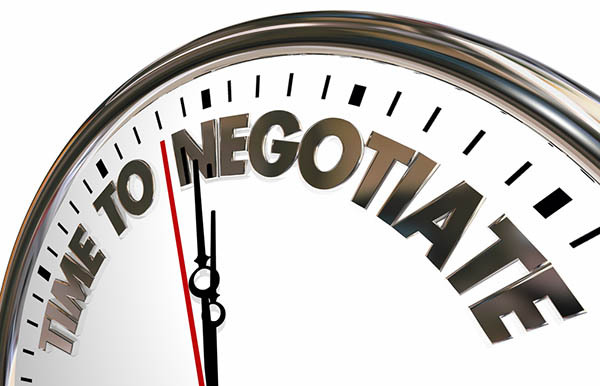 As far as negotiating a contract, if you don’t have experience in that, you might want to get an expert to help you, whether it’s your attorney, consultant, myself and the folks that have had the experience in doing that. What you want to do is you want to negotiate the royalty rate. You’d like to try to get more than 3% if possible. Brand Licensing: You want to negotiate the royalty rate. Try to get more than 3% if possible. We would try to get 5% or more but generally speaking, most companies are not willing to pay more than that. Some will only offer 1% or 1.5% these days. They don’t want to take much risk. We want to try to negotiate to get an advance royalty. That means you’re going to get money upfront that goes and applies against future royalties. The company has some skin in the game with you as well as their developmental costs, tooling, production, and marketing cost. That advance, generally speaking, is going to be just good faith money. If you’re lucky, you get $5,000 or maybe $10,000, sometimes just $1,000 or $2,000. It’s important to get a little money into the game from the licensee. Secondly, you want to look at the annual guarantee. If possible, we get a three to five-year contract and we try to negotiate a conservative number that the licensee feels they can accomplish and that we feel the product can accomplish with realistic expectation. For example, I have a product that I was negotiating for an inventor with the company doing $15 million or $20 million a year, they told me that if the product does well, they would do $1 million or $2 million a year on it. We developed a stage guarantees of starting around $10,000 a year and going up to $25,000 a year by year five. If the company signs the contract, they’re guaranteeing you that amount of royalty per year based on the projected sales. If they do more sales then you’re going to get more money than that, but that’s how it works. Generally speaking, you’re going to get paid quarterly, sometimes monthly if the company is doing a lot of volume for you. The reporting details and such, are all pretty much the standard licensing agreements that most attorneys will have who are familiar with licensing. Those are the basics. The bottom line is they decided to keep their own destiny in their own hands and decided to venture themselves. I helped them find a factory, a source, and we got the prototype. We pre-launched it at the Housewares Show. We’ve got some great interest from Home Depot and some other majors. We had some production issues and delays, and we had to go to a different factory. We’re looking to re-launch it next at the Housewares Show and one of the key clients is still interested. Doing it yourself will have you a much greater potential for making a lot more money in a lot shorter time but also not making a lot of money if your product doesn’t do well. You have that risk of your own money, your friends, family, their capital and a lot of time. A lead time of anywhere from six to twelve months up to two years or more to launch the product into the marketplace, depending on how easy or difficult it is to engineer that product. How much tooling is involved and how much money will it cost to get the tooling made and the minimum runs of the minimum order to produce it in the factory, usually overseas and sometimes domestically? Your time and availability to set up a business and do all the marketing, we have some great resources here with Tracy at ProductLaunchHazzards.com. I’m the expert in licensing and also on the whole portion of looking at eventually yourself, of helping you hand hold every week. Talking to you and helping you focus in on what needs to be done next for product design and sourcing and working with the factory and getting all the details and stuff for business and marketing. There are a lot of other great consultants within the Product Launch companies who can help you as well and other people you can find online. It’s important to get a good team behind you. Know what your risk aversion is if you want to do it yourself. People think you need hundreds of thousands of dollars to launch a company and quite often that’s not the case. If it’s a simple product, maybe the tooling is only $5,000 to $25,000 and the production run maybe five or $10,000 up to $40,000. It’s still not a huge amount of money. You get your website to do. You’ve got consultants, you’ve got other things like trade shows and such. I’ve seen a number of companies launched for under $100,000 and quite often under $50,000. That may be a big number for a lot of you and other folks go, “Maybe that makes more sense.” I’ll be posting online some ideas about this. There are lots of other resources on our website from other providers and presenters to give you ideas. You can contact me, look up my name on the Product Launch Hazzards’ website and you can drop me an email. I’m happy to set up an initial 30 minutes of introductory consultation to talk about what we’re doing and how I can maybe support you in that or give you other resources to look towards. I appreciate you spending the time reading and I hope that I was of help to you. I’m David Lieberstein, the dream product guru signing off. Thank you so much. Tune in to David Liberstein’s next Office Hours. Connect with and find out more about David Liberstein in our Experts Directory.